Tiger Muay Thai and MMA training camp, Phuket, Thailand fighters ended the month of May by going 6-2 over four nights in Patong on May 26,27, 28 and 31, 2010. 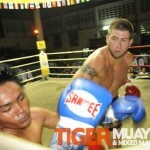 Ray and Charlotte were the only losses on points on May 26, 2010 at Bangla Thai Boxing Stadium. 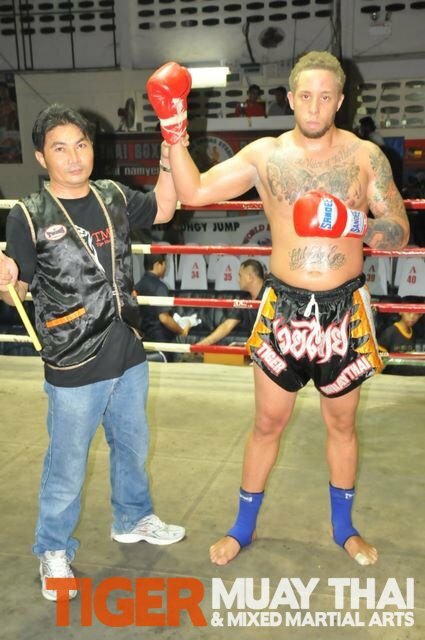 After returning from Macao from cornering Ngoo and John Vargas in MMA fights Ray needed to shake off some ring rust and despite a fever and flu, decided not to cancel fight and went 5-rounds with experienced Thai fighter losing on points then spending the next half-hour in bathroom getting sick. Charlotte fighting an experienced Women’s Muay Thai fighter lost close fight on points as well. 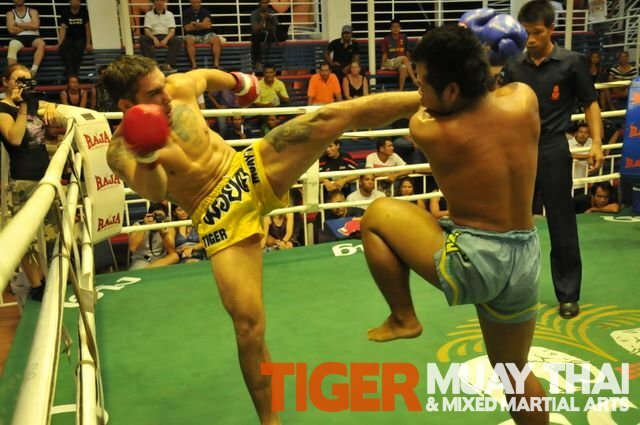 The next three nights belonged to Tiger Muay Thai and MMA as our fighters reeled off six straight wins with 6 KO’s. 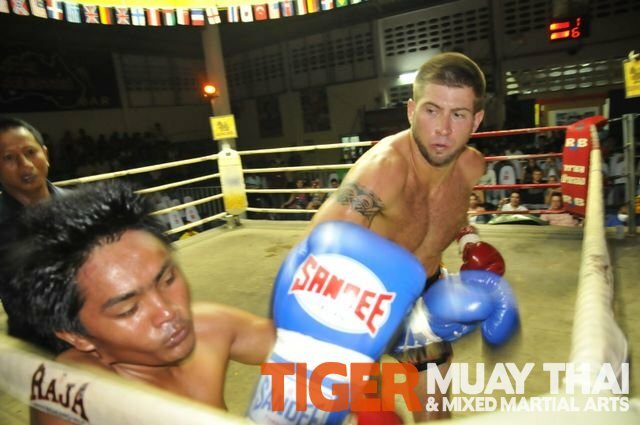 On May 27, at Patong Muay Thai stadium, Sean, Joel, and Kendra all won their first fights by KO’s in the 2nd round. On May 28, Riadh scored a first round KO and Berg won a great fight with a 2nd round Ko landing some great knee strikes. On May 31, Micah (USA) won a hard fight with a third round KO showing excellent technique to end the moth for TMT on a 6-0 win streak.